Have no fear the perfect family camper is finally here! Meet the Keystone Premier Ultra-Lite 34BHPR for sale. 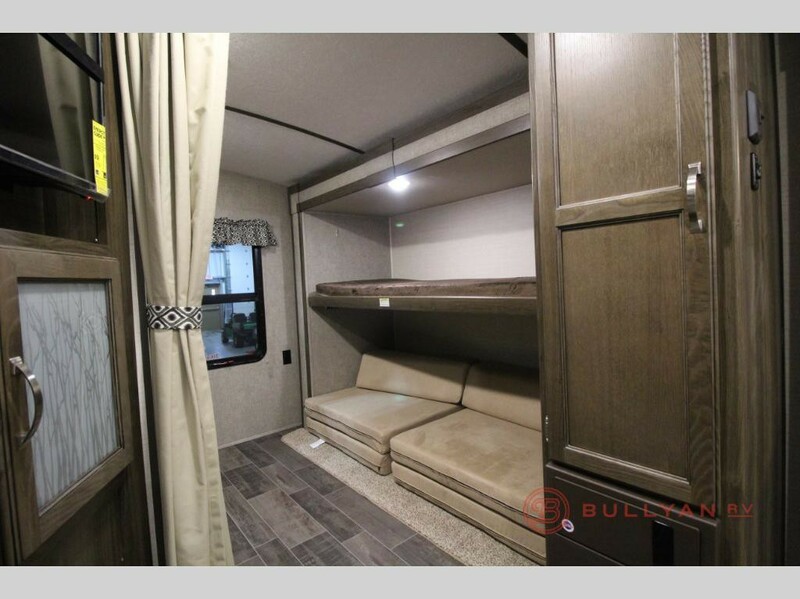 This camper has room for the kids and the adults to enjoy quality time together and also separate spaces to call their own. With two kitchens, three slides and plenty of storage, the Premier Ultra-Lite is ready to hook up and go! A quick review of the Premier’s best qualities will have you just as excited about this camper as we are. Check out the sleek design of the Premier Ultra-Lite. Kitchen island with dual sinks for extra prep space and easy clean up. Not one, but TWO pantries for storage. Microwave for heating up your favorite snack. Full size fridge to keep everyone’s favorite food fresh. Make family time easy in the Premier’s living space. When it’s time to sit back and relax, the tri-fold sofa located in the second of the three slides is a great place to rest. The booth dinette located in the third slide is perfect for family meals or family game night. All of this space comes with convenient storage options located overhead and out of the way. At the end of a long day of fun there are two essential places you need: a bathroom to get squeaky clean and a comfortable place for a good nights sleep. The Keystone Premier Ultra-Lite 34BHPR can provide both of these indispensable places. For the kids, there is a great bunkroom with a futon slide with flip bunk above on one side, and a bunk above a wardrobe with a ladder to the top bunk on the other. A perfect place for the kids to call there own and it’s also conveniently located right next to the bathroom. The bathroom provides an angled shower, toilet and sink. When the kids are nice and clean and tucked in bed, you can retreat to the front bedroom featuring a queen bed with wardrobes on both sides. The kids will love their own space! The fun isn’t contained just on the inside of the Premier Ultra-Lite! There is another kitchen located outside that hosts a two burner stove, fridge, kitchen sink and storage. A perfect addition to your campfire cooking. There is also a large pass-through storage compartment ideal for storing your outdoor gear. The Keystone Premier Ultra-Lite is a great answer the search for a perfect family camper. 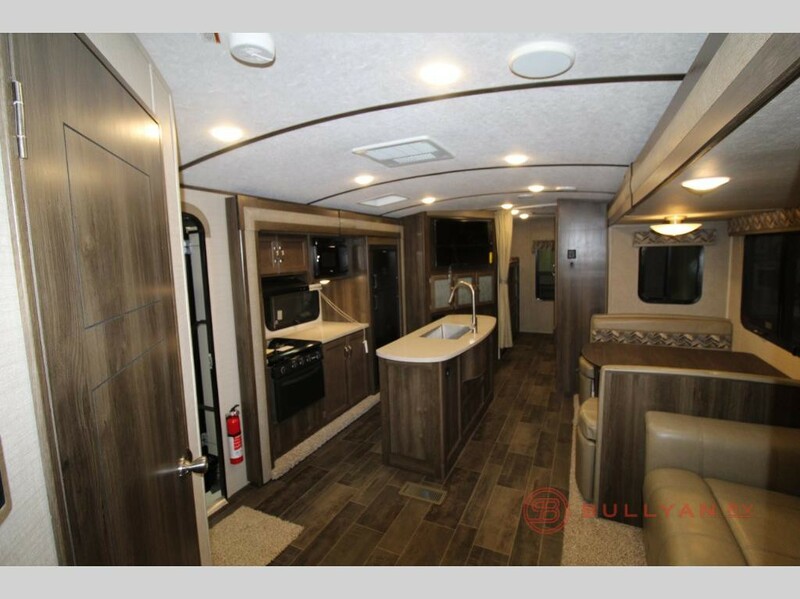 Contact us today with any questions or just come on over to Bullyan RV and let our professional and informative staff give you the grand tour of the Premier. 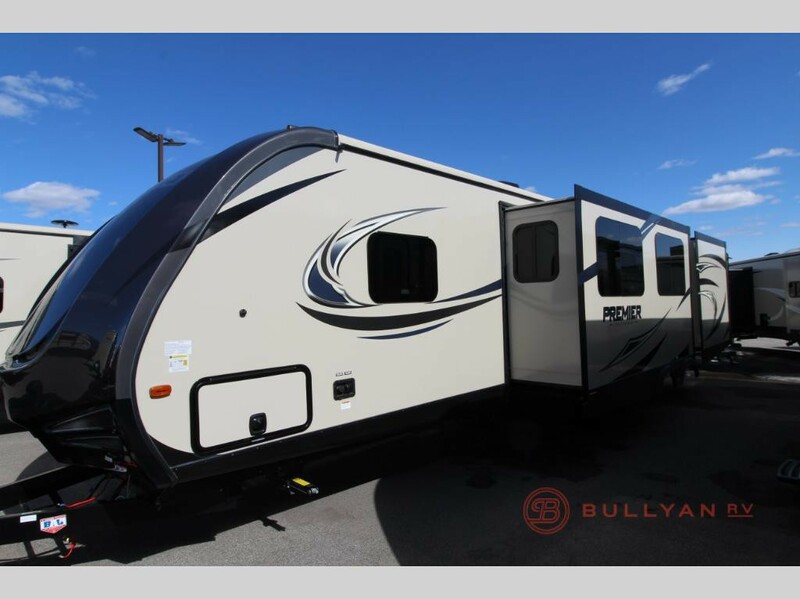 We can’t wait to make you a part of the Bullyan RV family!